Recently I did a favor for a very good friend, She asked me to watch her 2 children Sidney and Molly, while she attended some afternoon event. Her sitter canceled at the last minute, and she needed help so I agreed, I have always love her kids so it wasn't any big deal. But being single with no children myself I had very little food in the house that the kids would really enjoy. I did have peanut butter and some jelly, but no bread, except for some hot dog buns. Well the kids love this sandwich, and had so much fun eating this sandwich,.It was all they talked about when their mother arrived to pick them up. Who knew! I have made this again and again for my self as well as for my adult friends, and everyone loves the idea. Seem a peanut butter , banana, and jelly sandwich taste even better when made to look like a hot dog. I love this sandwich. I can see why your friend's children loved it. I love PB &J!! Must make this! Nice idea of a sandwich, I'm having an idea of making some for myself. Thanks for sharing this experiment of yours. 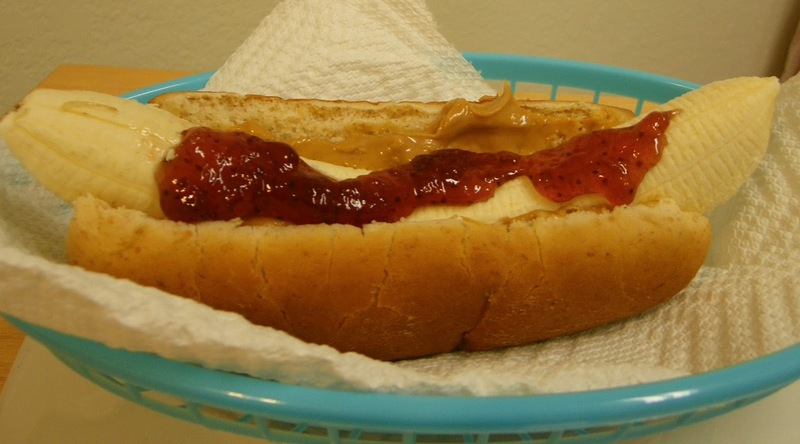 hmm what a realy neat idea!I would not think pb&j would work with a banana, but why not, its almost like a banana split..
Yummy! I would have never thought to add a banana to a PB&J sandwich. I love the hotdog bun idea as well. Thank you for sharing. What a great sitter you are and very creative to come up with this! This looks so delicious. I am excited to try this with my kids! Yes, banana dogs! I did a blog post on my site that included these as a quick breakfast idea! Busy Moms will love this idea! That's a cute idea. Bananas would fit well in the hot dog bun. We make our own homemade trail mix with raisins, chocolate chips, sunflower seeds and dried fruit. My grandkids love to help me make it and eat it. Oh how tasty and fun looking. 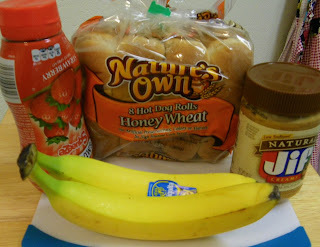 My son loves loves pbj sandwhiches and now with banana, it will be a hit with him. PB&J is not just for kids.... YUM!!!! Thanks for sharing this insightful information! 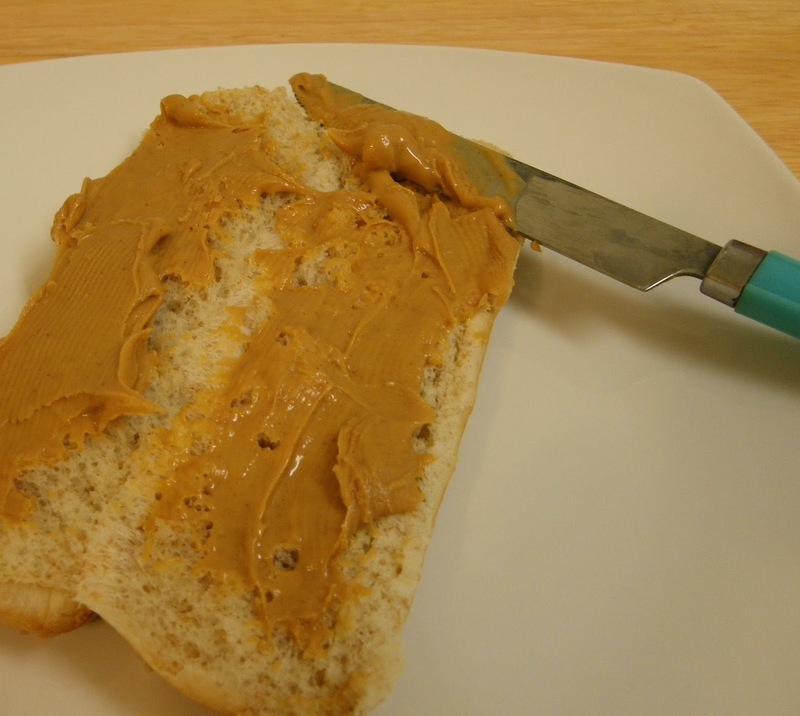 It sounds good, I use pure peanut butter, no additives. Really fun idea! Thank you for sharing with the Clever Chicks Blog Hop this week!